It’s a fresh new look and a much bigger event for year #9. If you’re interested in supporting this event, then we want to talk to you. In-kind sponsorships are available, too. Thank you – in advance – for helping us make this the best event yet! Due to popular demand for these exclusive tables, we’ve added more options and reduced the amount. Celebrate with your staff, your business associates, co-workers, neighbors, family & friends while supporting this great community event. 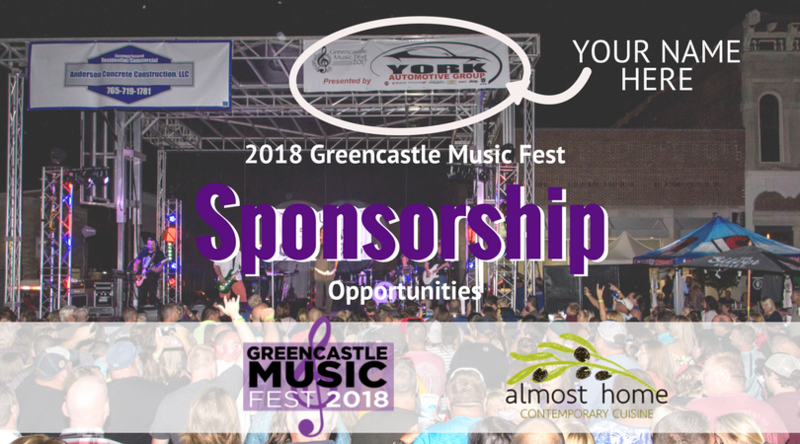 If you or your company is interested in being a sponsor of this years, event, please contact Gail Smith via email at greencastlemusicfest(at)gmail.com. Customized sponsorship opportunities can also be discussed.